The online portal Finanzcheck applies its users' credit requirements to check the terms offered by over 20 partner banks, before spitting out their offers just a few seconds later. This comparison is free for customers and offers plenty of incentives for banks: thanks to the market place model, they are able to address their target group directly. 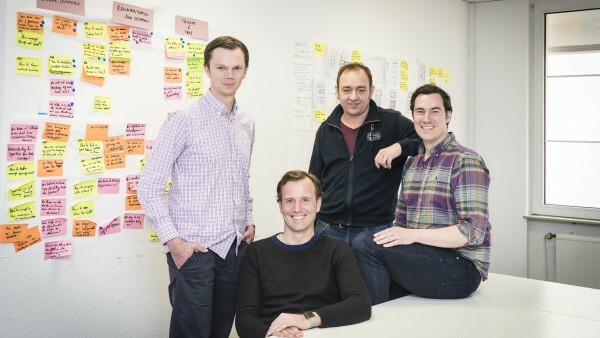 A profile of the Hamburg-based start-up. 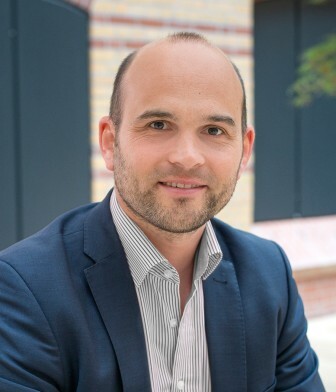 Moritz Thiele is founder and CEO of Finanzcheck.de. Perhaps your kitchen needs renovating. Or maybe you’ve spotted a wide-screen TV with surround sound. Or is your car with 150,000 kilometres on the clock now on its last legs? We are always encountering situations that require funds at very short notice – and if your financial needs are higher than the credit in your account, you may be one of the many people who goes looking for simple, affordable credit. “Typically, a loan is not part of private customers’ strategic plans,” says Moritz Thiele, founder and CEO of Finanzcheck.de. And this is exactly the issue that the popular online comparison site addresses. As well as providing customers with a hassle-free way to search for instalment-based loans, it also promises speedy results. Finanzcheck applies its users’ credit requirements to check the terms offered by over 20 partner banks in almost real time, before spitting out their offers just a few seconds later. Fun at work is part of the company's culture. 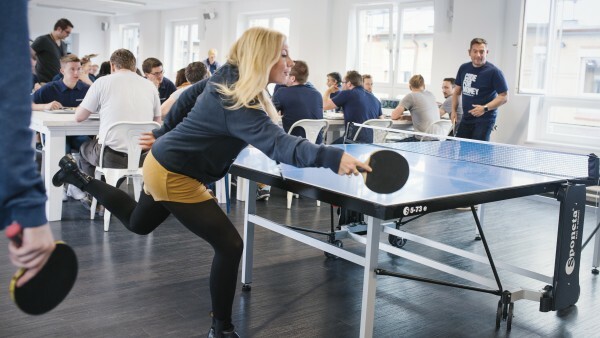 In the breaks, the team likes to meet for a game of table tennis or table football. The effect is the same as if you were searching for flights, hotels, or rental cars on travel portals. In just a few clicks, visitors to the website can receive an overview that will help them to decide straight away whether there is anything suitable for them on the market. Immediate access to information is combined with convenience. Visitors to Finanzcheck no longer have to stroll to a local bank on the off chance that they may be able to apply for credit – and risk getting turned away. After all, many banks specialise in certain professions or branches. They may support self-employed people over employees, or perhaps they finance building loans but will not finance a new car. 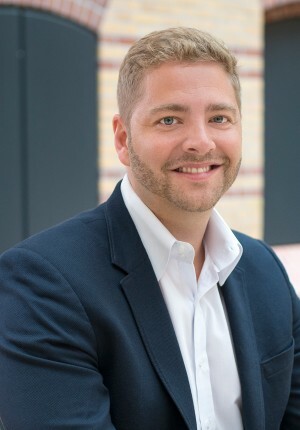 “Customers are attracted by the fact that we can offer them a high likelihood of at least getting an offer – or, ideally multiple offers,” explains Andreas Kupke, who is in charge of Finanzcheck’s operational activities on its Executive Board. “By pooling a wide array of banking partners, we are able to ensure that up to 90 per cent of applications are approved.” Although, this does rely on the applicant having a positive rating from the credit inquiry agency. 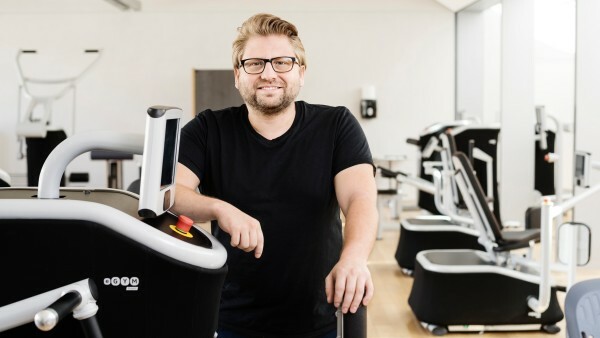 The Hamburg-based company is one of the fastest growing start-ups in Germany. As Kupke explains, the marketplace model enables banks to address their precise group of target customers: “If we are able to provide banks with clients and they can say ‘It's a perfect match, we’ll give them a loan’, then we’re doing our job properly.” With over 100 customer advisors responding to enquiries and handling applications, Finanzcheck also deals with the processing side, instead of just finding potential customers. This keeps the amount of work required – and, as a result, the costs – low, meaning that partners like Postbank, Credit Plus and Deutsche Kreditbank AG are happy to pay Finanzcheck commission for each customer found. “It’s always free for the customer,” emphasises Kupke. 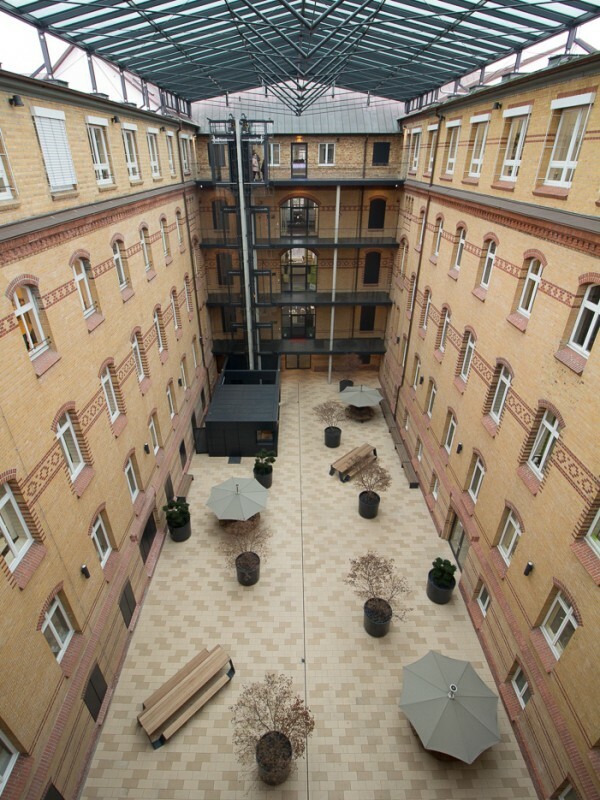 The innovative business model persuaded investors to invest EUR 46 million in the start-up. The prospect of further fast-paced growth is attracting financiers. Every year, a good EUR 80 billion in new consumer loans are issued in Germany – a great opportunity for Finanzcheck to build on its benefits, thinks Frank Seehaus: “Finanzcheck helps customers save money,” explains the managing partner from the venture capital firm Acton Capital Partners. The firm’s “Heureka II” growth fund was the vehicle through which KfW until recently indirectly had been invested in Finanzcheck. Whether the economy is thriving or flagging is a secondary matter. “Of course, the number of spontaneous purchases goes up during times of crisis,” adds Seehaus. “On the other hand, price sensitivity rises, too.” A comparison portal that creates transparency can only benefit from this, he explains. 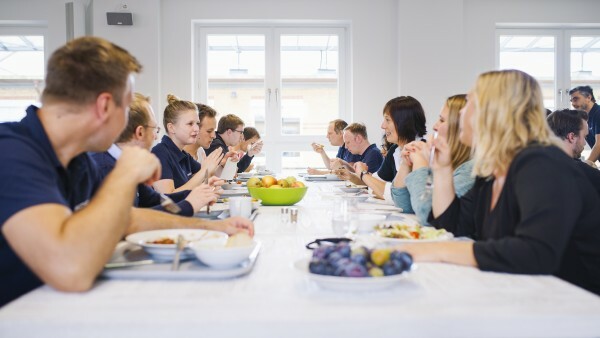 In the central office in Hamburg, the employees often pass their lunch break together. Scout24 must have taken a similar stance. In July 2018, the listed online giant from Munich – famous in Germany for portal sites like Autoscout24 for cars and Immobilienscout24 for housing – announced that it would be acquiring Finanzcheck for EUR 285 million. The two companies had already been collaborating behind the scenes for quite a while. If, for example, a visitor to Autoscout24.de was looking for financing for their new car, Finanzcheck would provide them with offers. Finanzcheck.de was looking for an investor and found Acton Capital. Acton Capital is a VC fund which KfW Capital has already invested in, because the new KfW subsidiary took over existing shares of the parent company when it began its business operations. Since 2015 – when the ”ERP-Venture Capital - Fund Investment“ programme was launched – KfW had invested a total of EUR 265 million in 18 venture capital funds and, together with the Federal Ministry for Economics and Energy, set up the coparion co-investment fund in 2016 with a fund volume of EUR 225 million. When staff in the branch office aren’t busy with customers, they put on their headsets and advise website users trying to apply for a loan – just like their colleagues at the head office in the Hamburg district of Altona. Occasionally, customers simply drop by to find out exactly how they can get a loan at that office, as well. While the online firm wasn’t particularly prepared for this, the comfortable seating areas and coffee machines meant that staff were quickly able to adjust to advising unannounced visitors. Ultimately, though, every visitor has to use the website to submit their application – even after receiving advice from the head office. That’s because the online tool is the only way that Finanzcheck can deliver on its promise to provide customers with the “securest route to a loan” in a matter of seconds. 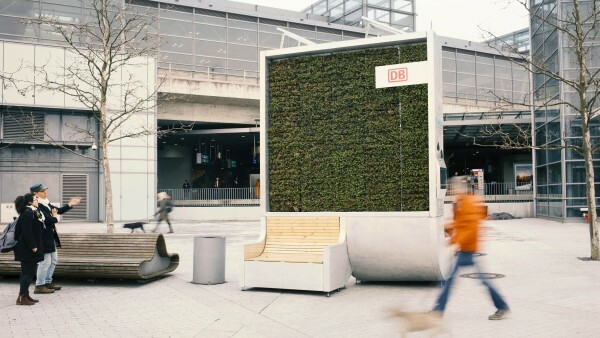 Moss and IoT technology for clean city air – this is the basis for the CityTrees project being undertaken by the founders of the start-up company Green City Solutions. Clark analyses its clients’ insurance data and compares it with the offers available from other insurance companies.The insurtech company uses various tools, including an app aimed at making the topic of insurance more interesting for young people.